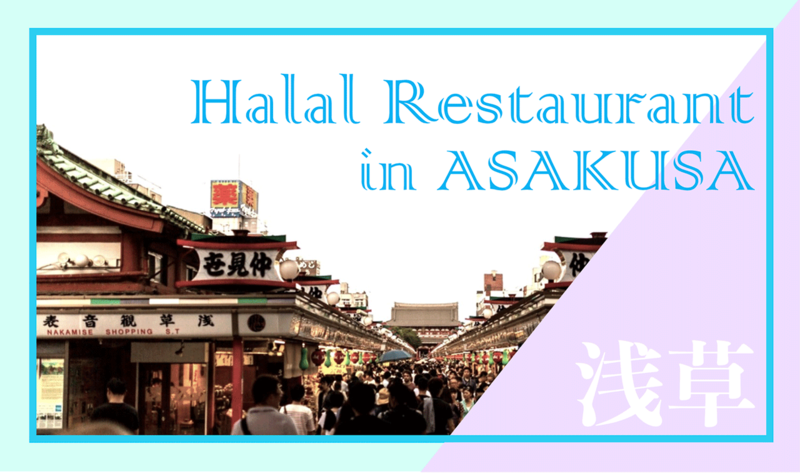 The Sekai Café can be found on the Nakamise Street, on the left side 50 meters past the Kaminarimon. The café is full of hospitality; each seat is equipped with an electric outlet and customers can have a free access to the Wi-Fi. The English fluent staff is another reason why the place is popular for customers coming from overseas. 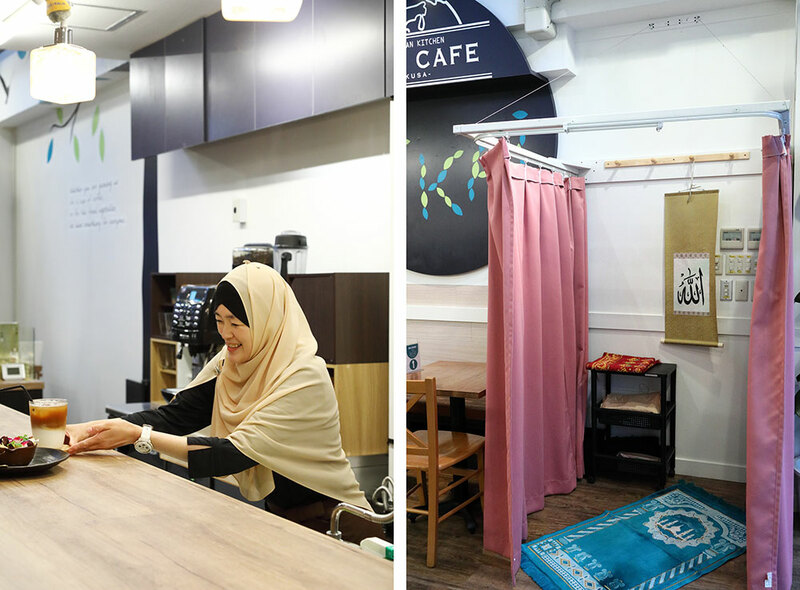 The café upholds a motto to interact with the world through “eating”, saying that “we will do our best to serve food for people regardless of their religion or ideology and even if they have restrictions on what they can eat because of allergies or other reasons.” The café hangs a huge world map on its wall, and customers are putting stickers on where they came from as a proof of their “bond” with the shop. 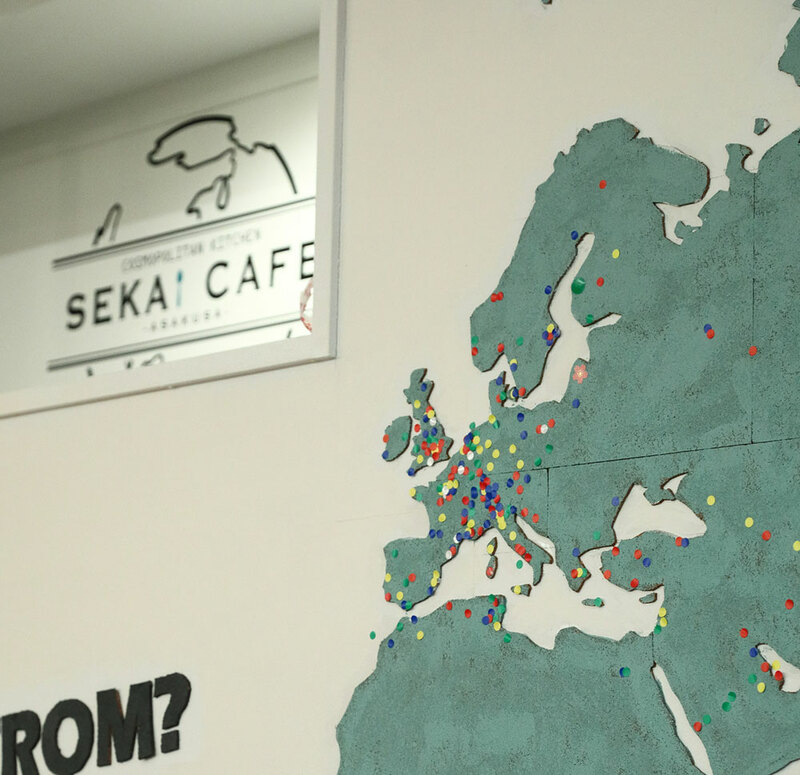 Stickers are still spread around unevenly, implying the café has not served for people of all countries, and they are waiting for one day to see all the countries are covered with stickers. The staffs maximize their flexible thinking and are doing their best to break the boundary of cultures. Not only do they prepare a vegetarian menu, the café carefully selects natural ingredients with no additives and no agrochemicals. 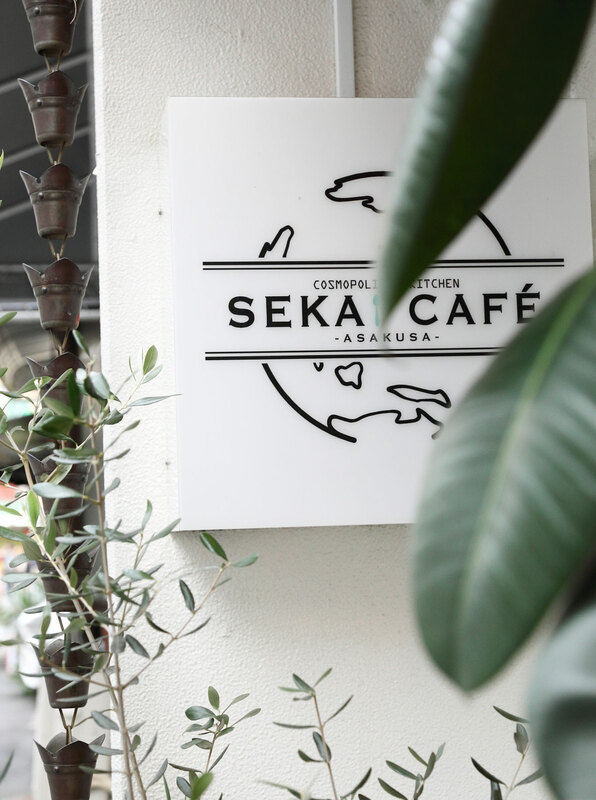 The menu lists all the animal-derived ingredients and allergic substances using pictograms to create a safe feeling when customers sit around the table. 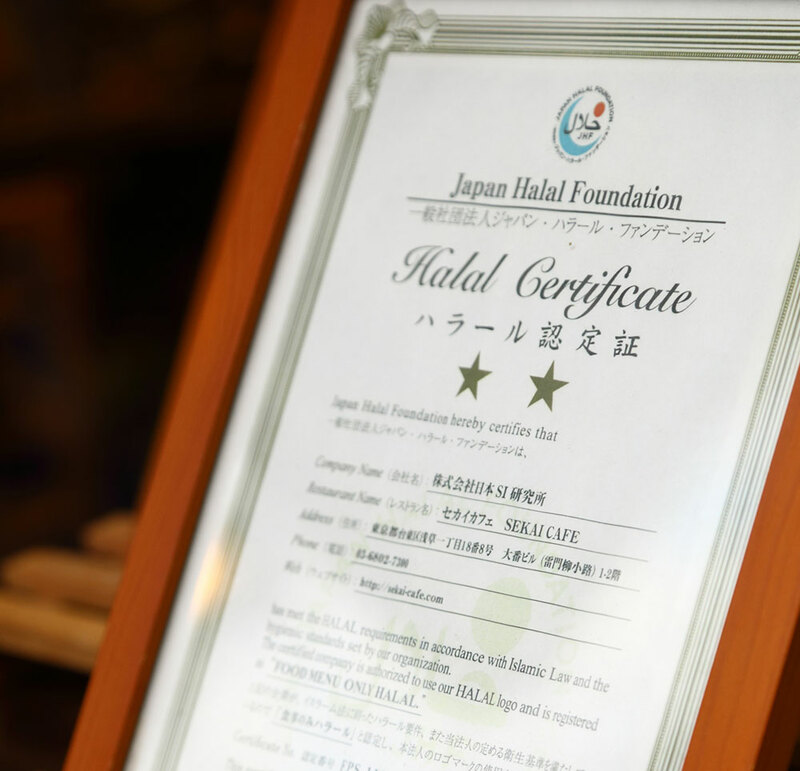 The café received two stars from the Japan Halal Foundation. 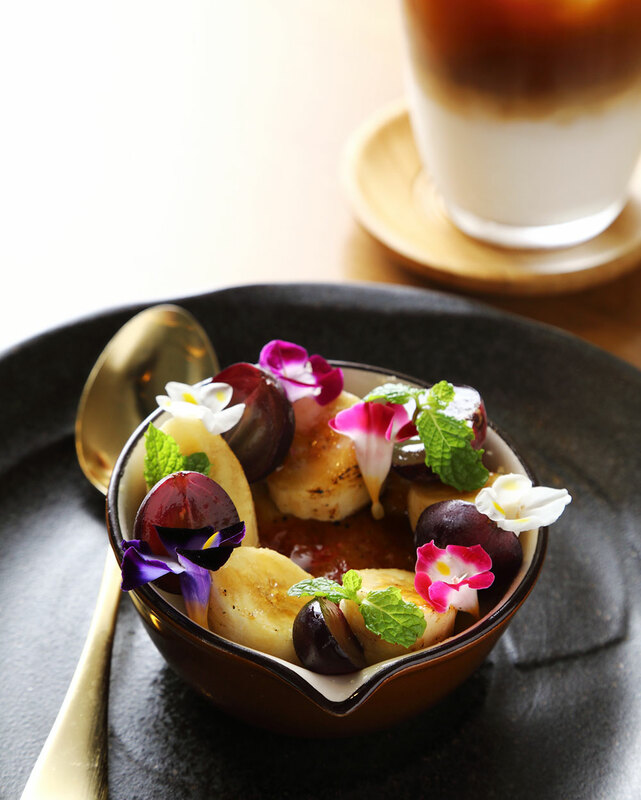 Their dessert is very popular especially for female customers who like to put out the photo of the colorful seasonal fruits on the Instagram. 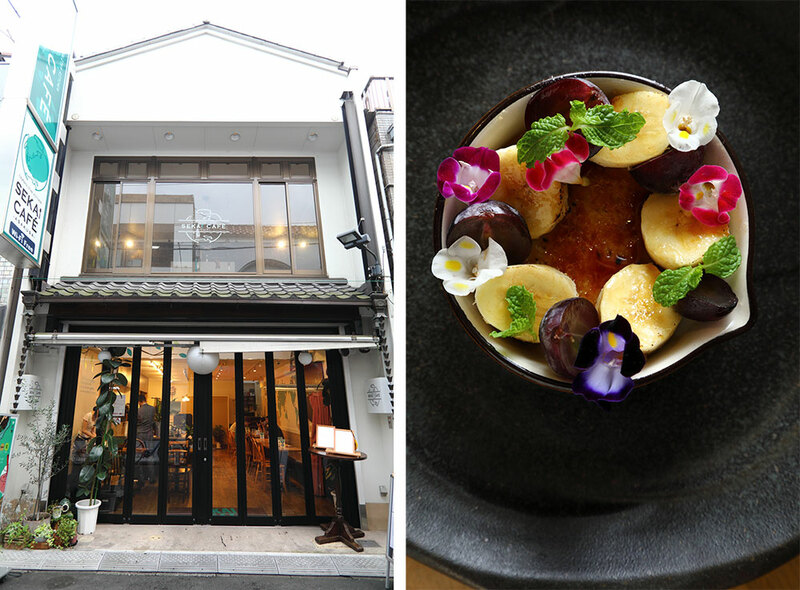 The café can fit as many as 20 people but any large group should make a reservation to secure a table. 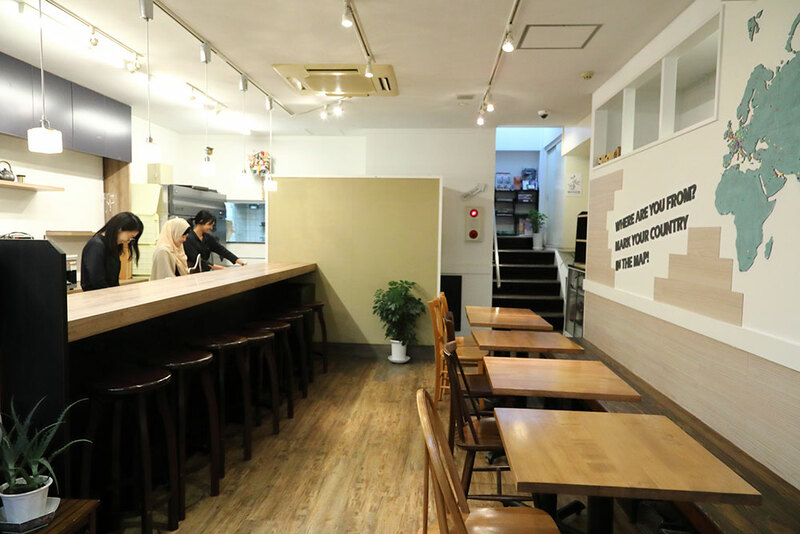 Samurai Kitchen, its sister shop, is running an online delivery service that serves halal vegetarian bento at https://samurai-kitchen.tokyo/ja/.